If you are a mother who is always on the go (and like to stay a little fashionable), this post might be useful for you! So! We all mothers know the outing with kids drill. Big bags, small bags. Separate bags. 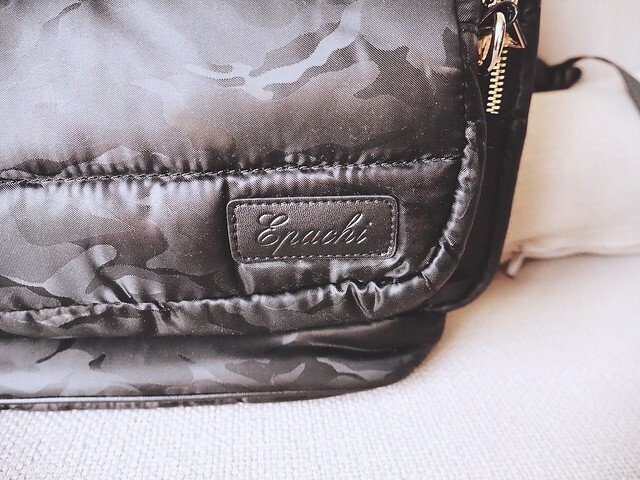 Diaper bags. Plastic bags. Water proof bags. Insulated bags. Kid’s backpack that ends up on your back. A hundred of things to pack, a huge bag that’s like a black hole that eats all your belongings. When you are digging for your keys, all you find is months-old cookie crumbs and used wet wipes. Yeap. That’s my life. Or ours. Depending if you are laughing at me or nodding in empathy now. So today I am introducing Epachi, an elegant series of bags from Taiwan designed specially for parents and children. 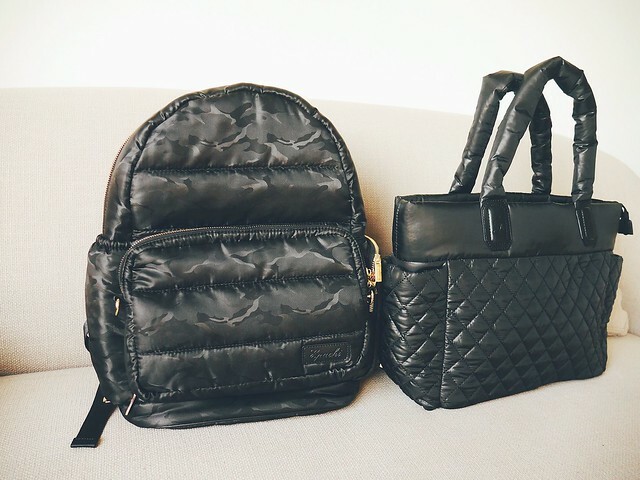 I picked the chic camouflage black for the backpack for a casual look and classic quilted black for tote bag when I need to dress up more formally. 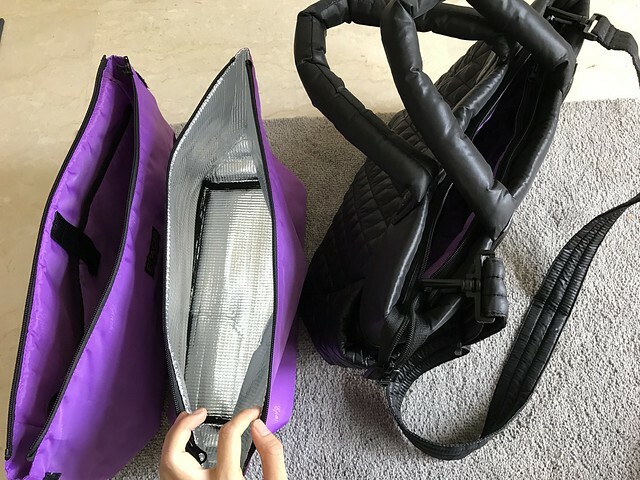 Both the bags are made of water-resistant fabric so you don’t need to worry about spilled milk/juice/pasta sauce… and I know it happens way too often. Also, the camouflage motif is weaved into the fabric instead of being printed on, so you don’t have to worry about it fading or getting patchy. Super light and can fit everything in! It also comes with a shoulder strap so you just need to snap it on to wear it as a sling bag. This one is gonna be many’s favorite. Oh? Something is missing… or hiding? Yeap, I was carrying Sakura and completely hidden lol. 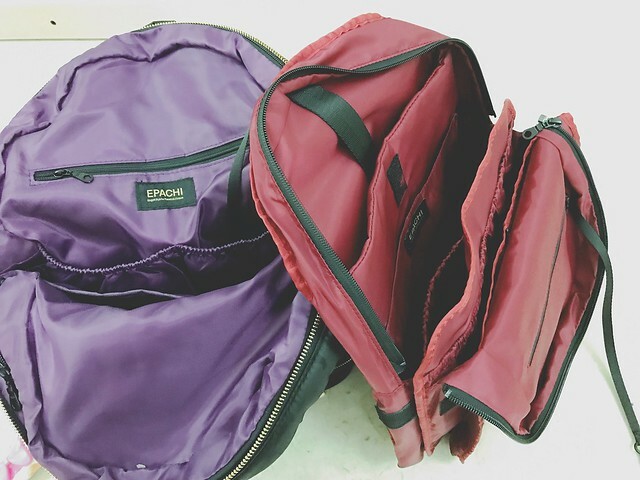 This is probably the best feature of the backpack – a detachable front pocket, which is super useful when you go traveling! 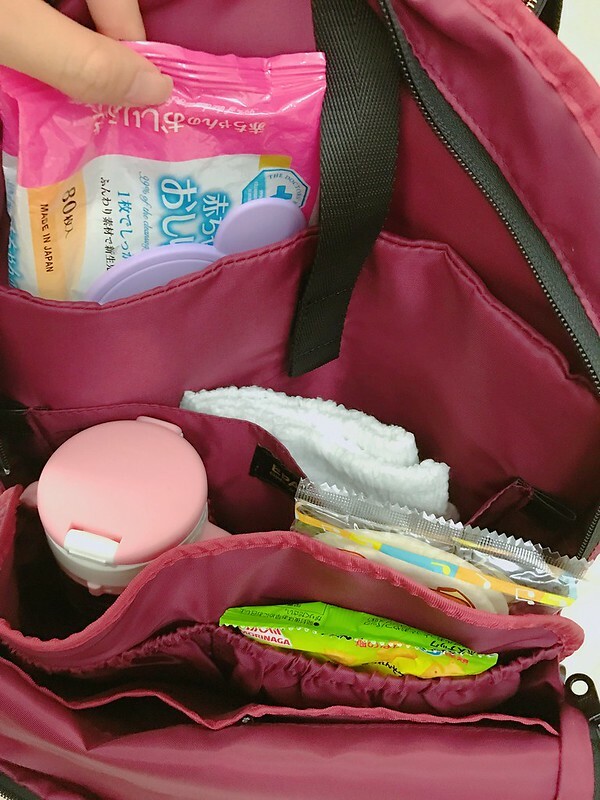 Simply unfasten the zipper and you have a separate pouch that you can bring for a quick trip down the combini or just a quick supper, without having to lug the entire bag out. But ok la just pretend chic only. Realistically, which mother can carry clutch right? Unless someone watches your kids while you go dating with your husband. Buuut. Epachi is very practical. 不愧是 mama and baby de bag. 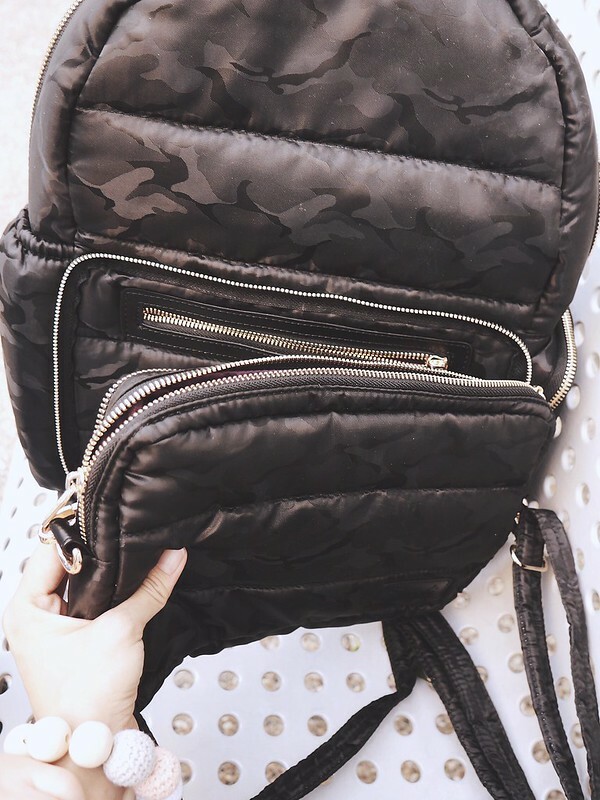 It comes with a shoulder strap for the pouch, so you just need to snap it on and you have a mini sling bag! 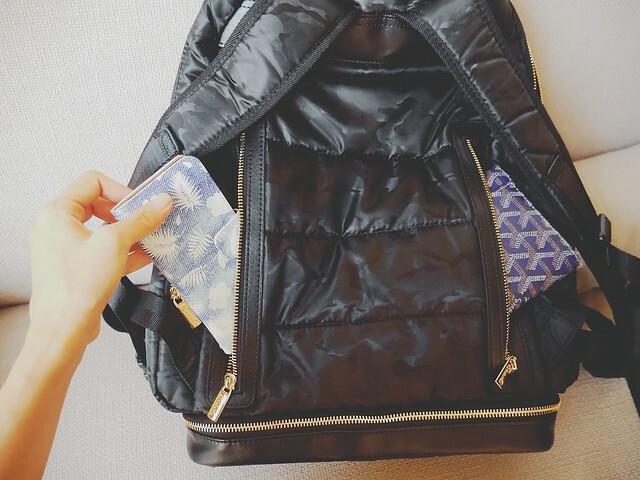 Other cool features include pockets on the back so you can put your valuables in there. I always get super paranoid when I travel to cities where pickpocketing is likely to happen, and this would solve the problem! 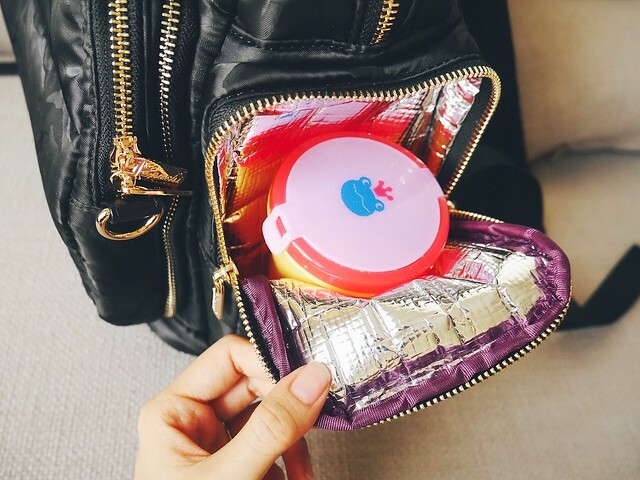 Also, a special insulated pocket to keep lunch for your little one warm! Even the bottom has a separate compartment where you can store flat stuff like diapers/spare clothes! It comes with lots of room with inner organizer to store all your stuff and your babies’ items. Oh and did I mention months-old cookie crumbs at the bottom of the bag? Perhaps even stubborn pasta sauce stains? No worries! You can easily take off the inner lining for cleaning!! @. @ How genius is that? No more black hole anymore. By the way, for the tote bag, it comes with optional extra linings too! Yeap. So that’s your awesome mama & baby bag for every day use. I love that diaper bag!! So cool that the little pouch comes off and has it’s own strap great recommendation! Hi. Just wonder where I could buy the bag and ship internationally as the websites given are in Chinese and mainly shipped within Taiwan. Please advise. Ur bag pack is L or XL ? 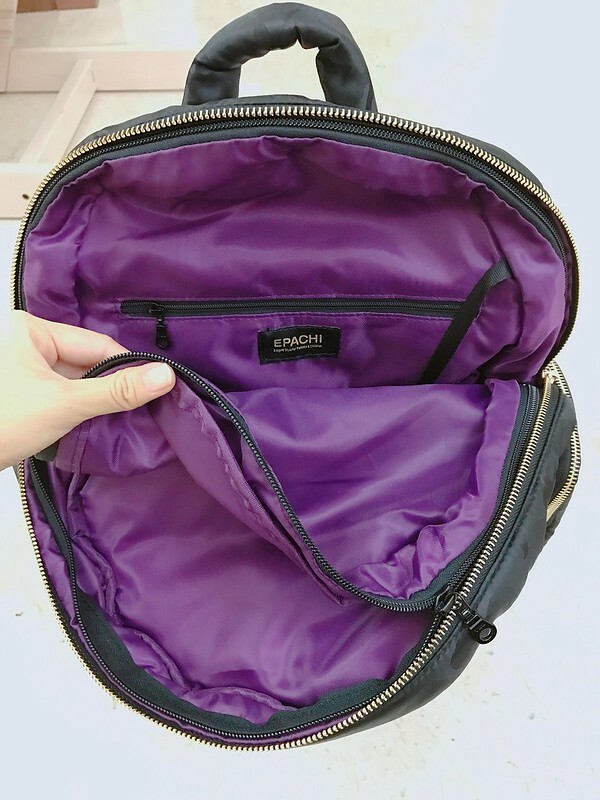 Just out of curiosity, can’t anyone just unzip the pouch part and steal it eg in a crowded bus?